Holi - undoubtedly one of the most beautiful festivals on earth- celebrates spring, youth, joy and new life through splashes of riotous colors. But often, hidden in the colors are scary chemicals that leave you with allergic rashes and red, ugly spots. So, how about celebrating this Holi (March 8) with the goodies of mother nature? Interested? Then come with me to Tosham - a village 239 km from Hyderabad - where Holi is all about being one with the nature. Adilabad district of Andhra Pradesh is usually in news for all the wrong reasons like a death sentence given to a police informer by a Maoist-held Kangaroo court, or a sacrifice of a child by superstitious parents. 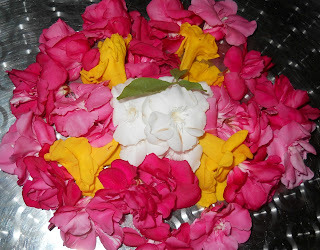 But on the eve of Holi, this is a place where people do all the right things and one of them is celebrating Holi with natural colors, made of flowers including the bright, fresh and beautiful Palash (Butea frondosa). Use of natural colors, I am told, has been an old tradition and it has survived the pressure of changing time and availability of cheaper, chemical-based powdered colors. 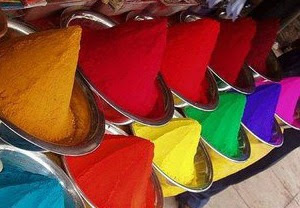 The preparations for the festival of colors begin a week before. People - and this includes both the young and the old - get busy with making natural colors from plants and flowers that are available locally. And this begins with the community members going to the nearby forests to collect Palash flowers. This is quite a ritual, both observed and enjoyed by people of Tosham most of whom belong to Gond - a tribal community. The basketful of flowers are then dipped in a huge drum filled with water, that turns red overnight. 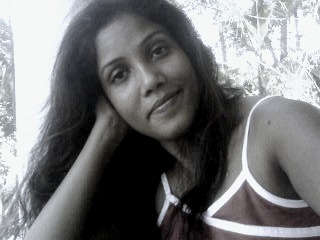 And this natural color is used to fill the water canons to play Holi the next day. Now, isn't that a wonderful idea? Besides this, they also make colors of various other hues. 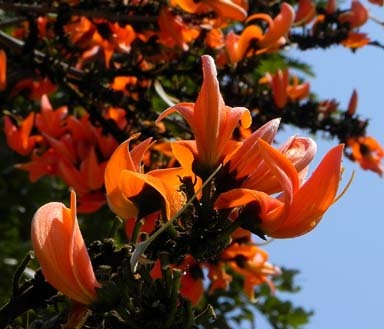 For example, orange is made of a mixture of Palash flowers and also from onion peels. Yellow is made of turmeric. Blue is made of indigo plant - now quite a rarity. Similalry, pink and green are made from other locally available flowers and leaves. So, red, blue, orange, pink and yellow - the natural colors - mildly scented and soft on skin, are ready to be sprinkled and sprayed. Alongside, there are sweets - Jangri (the south Indian version of the Jalebi) and almond barfi. here are songs ready to be sung. Legs ready to be shaken. There's love and enthusiasm in the air. What are you waiting for? Indulge!